Do you like cold water? 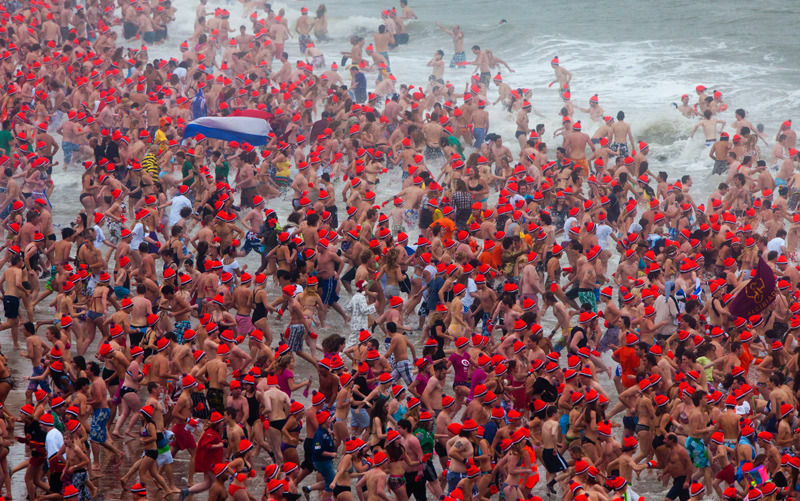 On the firstday of the year you can, together with thousands of Dutch people, take a New Year’s Dive in to the North Sea. Everywhere in holland there are New Year’s Dives organised. Most of them on the beaches of the North Sea and the Wadden Sea but also by towns or villages near lakes, rivers or canals. Since 1959 the traditional New Years Dive started with only 28 people on the beach of Zandvoort. Nowdays thousands of people gather together by the seaside on New Yearsday. Nearly 45.000 people takes a cold water dive on the 1st day of the year. They are all shivering from the cold, waiting together on the beach for the starting signal to go. After the starting signal is given they all run together in to the very cold North Sea water and back again. Its a very jolly and happy event. Afterworths everybody is very proud that they had the guts to take the New Year’s Dive. In wintertime the water of the North Sea is extremely cold. Since the beginning of the traditional New Year’s Dive it only happend once that it did’t go through because of the extreme cold weather. And if you don’t want to take an New Year’s Dive? Be part of the crowed that are looking. Just loooking is a lot of fun. Places were you must be to take a New Year’s Dive on the first day of the year. All the New Year’s Dive starts around 13.00 / 14.00 pm, so been on time, you don’t want to miss this. For nudist there are organised tree nudist New Year’s Dive. 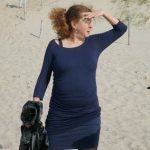 You can find one of them at a beach by Zandvoort. The other two are in the country, one of them in Oostzaan Twiske and the other in Leeuwarden in the province Frysian. There are also New Year’s Dive organised on other days in january, mostly on sundays associated wiht another event. Utrecht, on the 2nd sunday in January there is a so called Culture Snday with a New Year’s Dive. This event has been adopted by Unox, this is a manufactury for soups and sausages. If you sign in by Unox you pay 3 euro and youll get a goody bag with a Unox cap and after the dive a cup of soup. This soup is a traditional Dutch soup called Erwtensoup made of peas, leeks and beef. The money goes to a charity cause. Often there are local charity causes where people can join in.